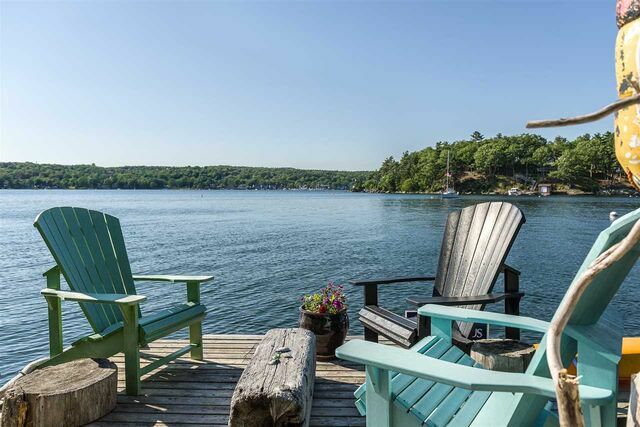 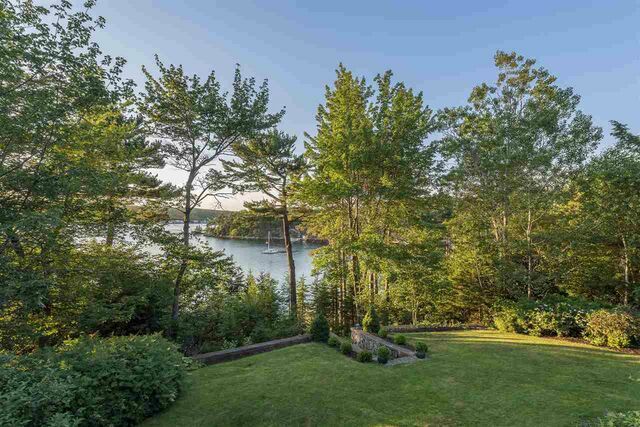 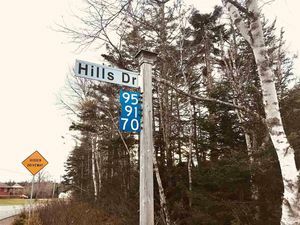 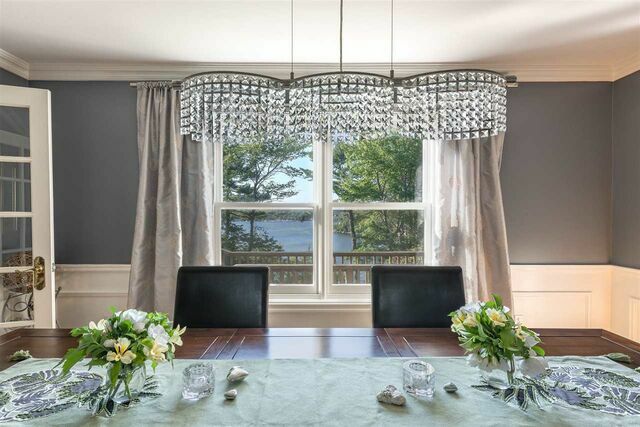 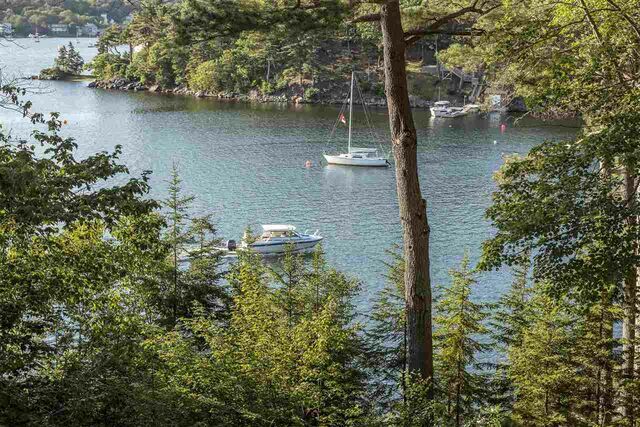 1357 Shore Drive, Bedford (MLS® 201903929 ) Want to experience the peace and tranquility of being on vacation - glorious sunsets, sailboat races, kayaking, secluded gardens - every day, less than 20 minutes from Downtown Halifax? 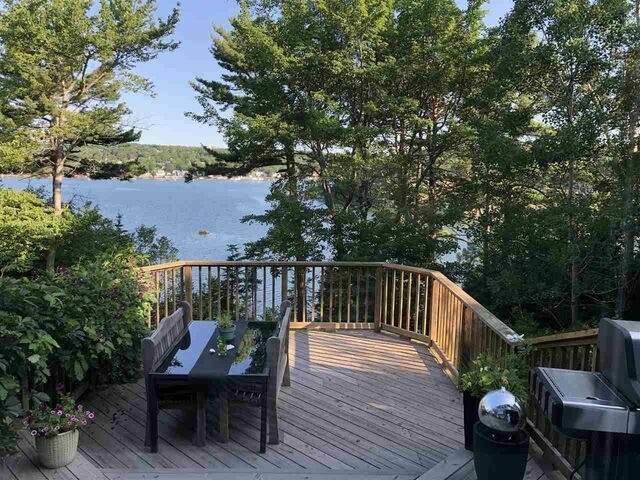 This one-of-a-kind property, situated on Long Cove in Bedford with 103 feet of oceanfront and deep-water anchorage, is your oasis! 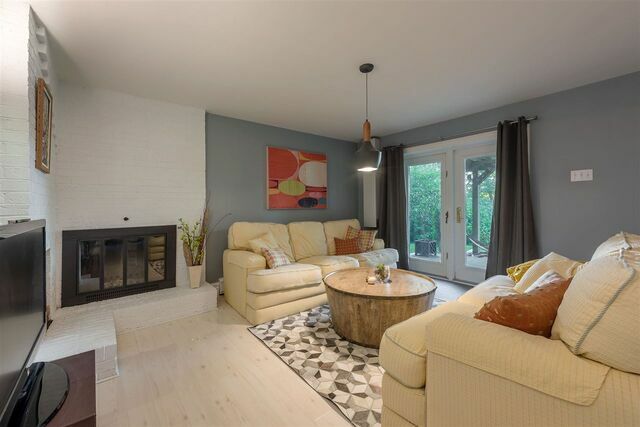 The home shines with pride of ownership and is ideal for entertaining: a large, recently-updated kitchen with quartz counter tops and stylish, contemporary backsplash; a formal living room with wood-burning fireplace and access to the expansive, multi-level deck; a spacious dining room with seating for 12; a cozy family room with 10-foot ceilings; all with amazing water views! 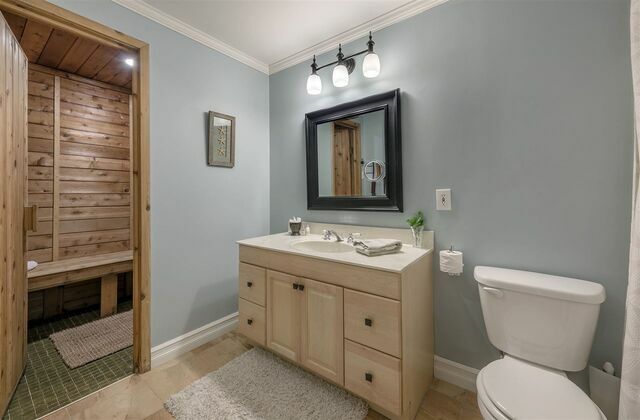 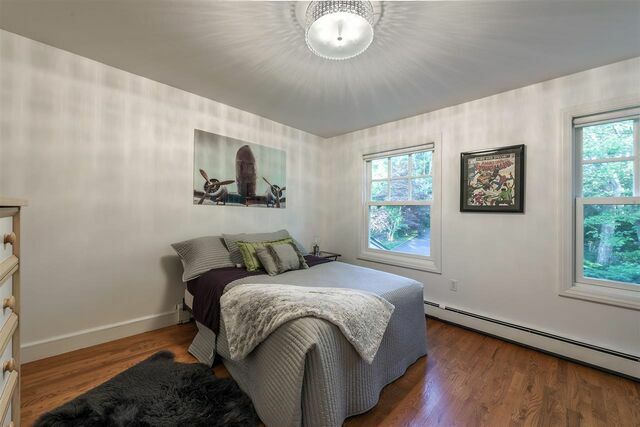 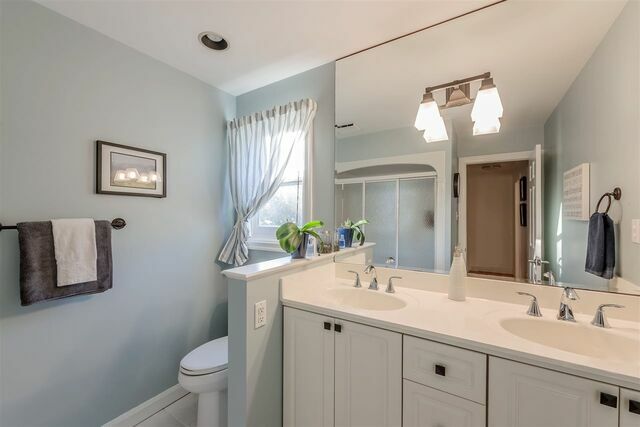 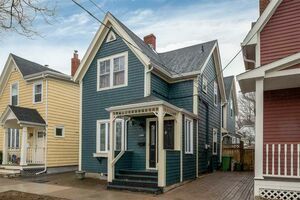 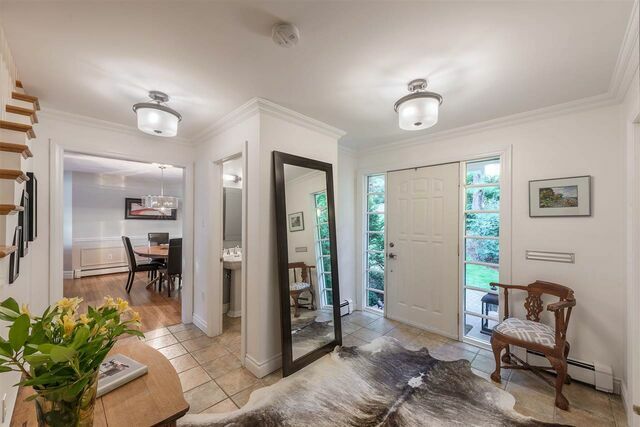 Upstairs offers 3 bedrooms - including the stunning master suite with wood-burning fireplace and recently-renovated 4-piece ensuite with tiled shower and soaker tub - the main bath, and a convenient laundry. 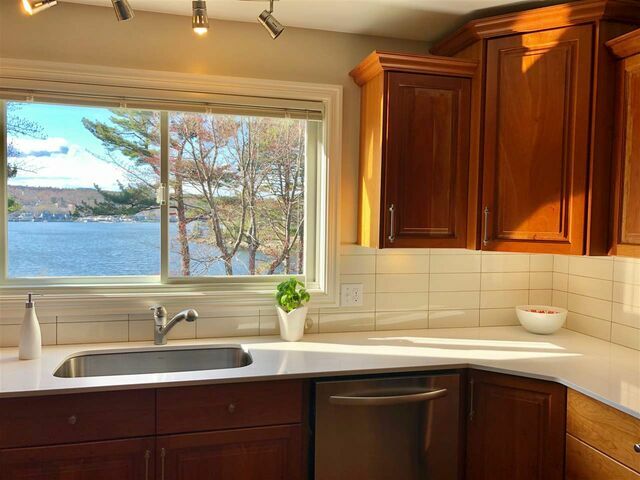 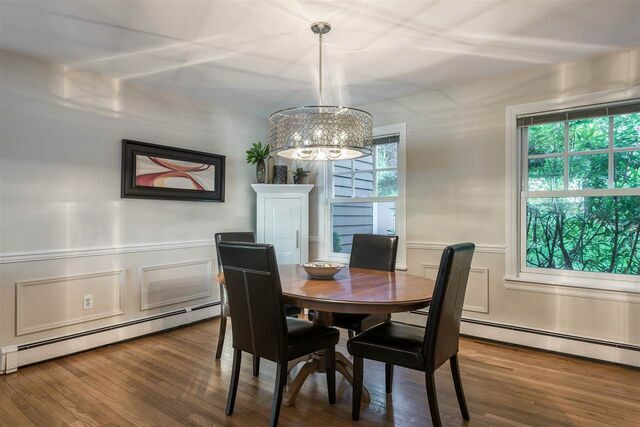 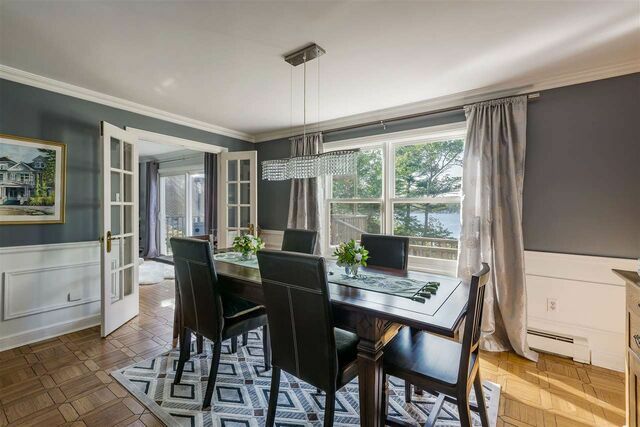 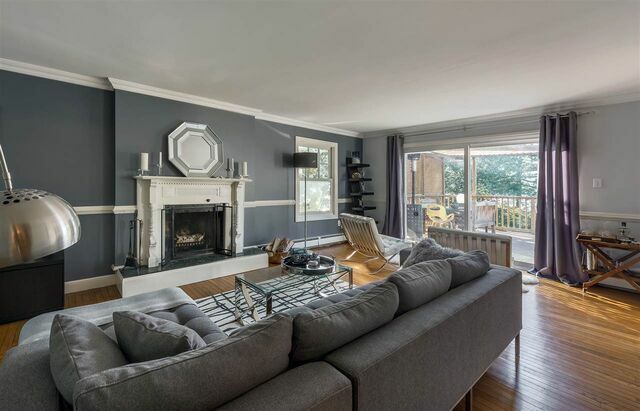 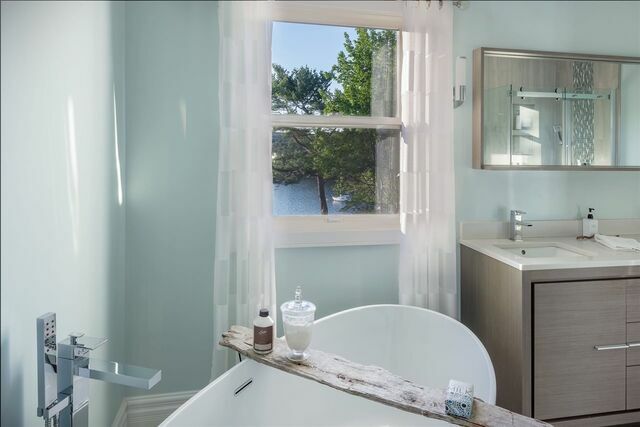 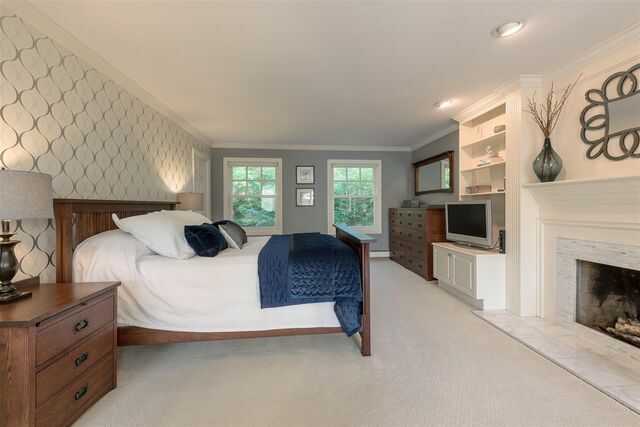 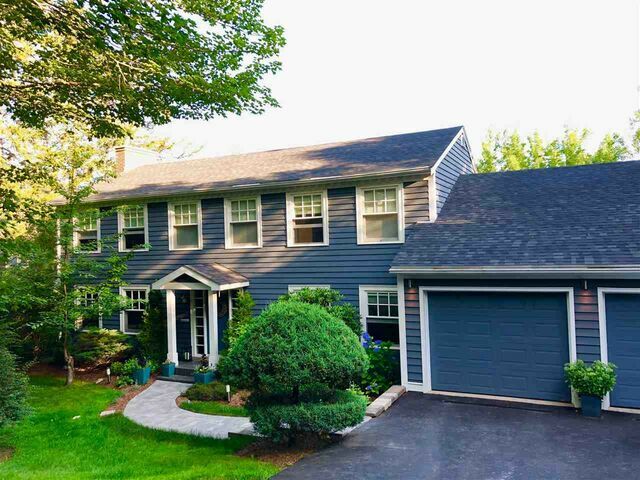 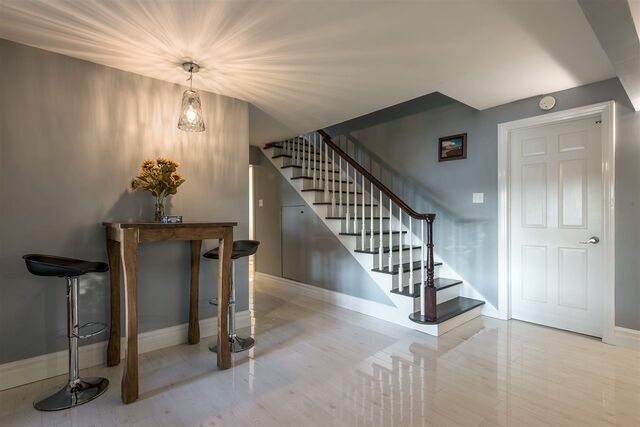 The views continue on the recently-renovated lower level, offering a family room with fireplace and access to a private deck, a 4th bedroom, and a full bath with sauna - great as an in-law suite or private space for visitors. 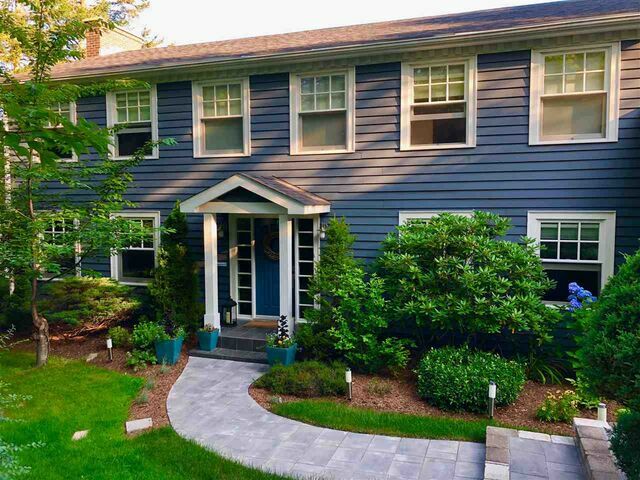 Seller is installing a beautiful new contemporary grey paver stone front walkway as soon as the frost is out of the ground (ask listing agent for details). 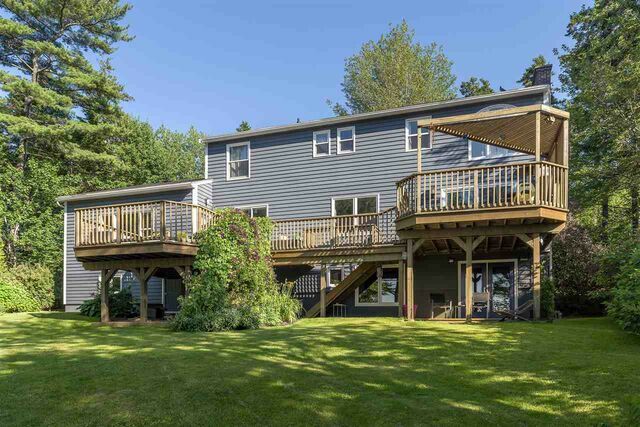 Inclusions: Fridge, stove, dishwasher, microwave fan, washer, dryer, central vac, sauna.